WARSAW, Poland, June 22, 2017 (ENS) – European environmentalists are ringing alarm bells to alert the world to what they say is a “nightmare” of destructive logging in the Bialoweza primeval forest on the border between Poland and Belarus. This UNESCO World Heritage site is inhabited by European bison, elk, lynx and rare species of birds, such as the three-toed woodpecker and pygmy owl. 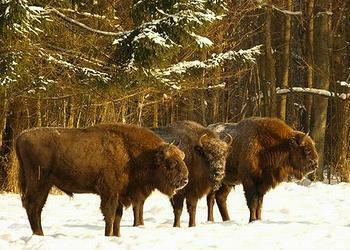 The former hunting ground of the Russian tsars is a unique wilderness within Europe. 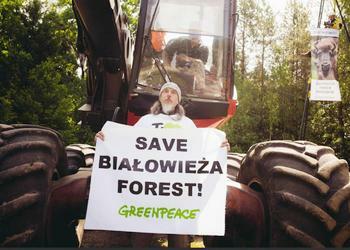 Under the pretext of fighting the bark beetle, Poland’s ultra-conservative government is chopping down the Bialowieza forest. The latest timber-harvesting machines are being used to fell ancient oak trees in the forest. “My worst nightmare is coming true,” said biologist Adam Bohdan from the Wild Poland Foundation, which has been researching the forest for many years. “Only international pressure can put a stop to this nightmare,” said Bohdan. To protect the forest, Bohdan and his allies have set up a protest camp, and young people are chaining themselves to trees and bulldozers to stop the deforestation. Jaroslaw Krogulec is head of conservation at the Polish Society for the Protection of Birds, or OTOP, which acts as BirdLife Poland. “The scale of man-made devastation that has been wreaked here in recent years is spine-chilling. Miles upon miles of forest have been logged,” he says. The situation on the ground clearly shows that Poland is not taking the concerns of the Commission into account and the case should be taken to court if necessary, write Krogulec and Young. “The tragedy of Bialowieza is more than just the devastation of nature, it is the destruction of memory and the eradication of hope,” they mourn. While the official national park is protected, logging is taking place in areas that have been given every other special recognition there is available – Natura 2000, UNESCO World Heritage and recognition under the UNESCO Man and the Biosphere Program. “If the world can stand by and watch these areas disappear in silence, then what chance is left for the rest of our planet?” ask Krogulec and Young. They explain how the devastation of Bialowieza forest came about. 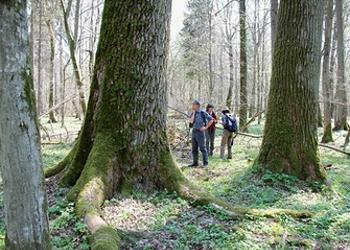 In 2008, intensive wood extraction from the forest motivated the European Commission to open a structured dialogue with Poland. A compromise set the logging limit at the level needed to fulfil only local community demand for wood. By 2013, the Commission closed the dialogue. But in March 2016, following a change of government, the new Polish Ministry of the Environment accepted an amendment to the Forest Management Plan for Bialowieza Forest District, approving a threefold increase of timber extraction. This increase, a breach of the 2013 agreement, was criticized by the most important scientific bodies and institutions responsible for the protection of Poland’s natural resources. It prompted a public outcry. More than 160,000 people signed an appeal to protect the site. OTOP, as part of a coalition of seven national and international NGOs, submitted a legal complaint to the European Commission warning that Poland had breached Article 6 of the Habitats Directive. Though the European Commission started a formal infringement procedure in June 2016, Polish officials were not persuaded. In September, the Polish Directorate General of State Forests, an authority under the Minister of the Environment, issued a decision to increase the logging limits and begin wood extraction according to the amended Forest Management Plan. “Since the end of last year, intensive logging – on a scale that truly begs belief – is destroying the unique integrity of Bialowieza forest. It is impossible to exaggerate the degree of biodiversity that we are losing each and every single day,” write Krogulec and Young. “The spruce bark beetle, which has spread excessively, kills not only individual trees, but also whole patches of the Forest. Other problems add to the problem such as drought or flooding of areas where the Forest died out,” the ministry states. 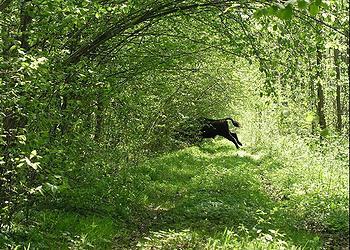 “The forest is perishing, and with it the habitats of many species, including the ones protected under the Bird and Habitat Directive in the Natura 2000 network,” acknowledges the ministry. The Ministry has set up 1,400 research areas “spread out in a tight network.” The results of this research are a starting point for forest management, the ministry says. Lukas Straumann, executive director, of the nonprofit Bruno Manser Fund based in Switzerland, is very concerned. His group is circulating a petition addressed to the Polish Environment Minister, Jan Syzszko, in the hope that a large number of signatures will persuade the Polish government to halt the logging.